I love my mini cooper! Ever since I passed my driving test, nearly twenty years ago, I have yearned for a mini cooper. I would walk past mini’s idly wondering which colour I would, hopefully, one day choose: classy cream with black highlights, elegant black with girly pink accents, or classic racing green? 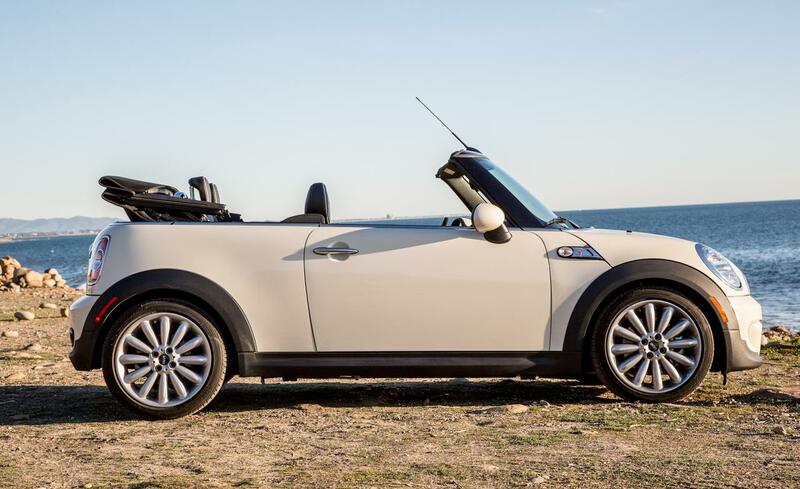 And my long-held dream was fulfilled nearly two years ago, when at last I sat behind the wheel of a convertible mini – a perfect fit I should add – and drove it home. Now that I am working in the same town we live, we only need one car, so you can sell your mini….. I stared at him agog! Incredulous! Astounded! Why would my lovely compact mini have to go? Surely the cumbersome family car would be more-easily forgotten! For crikes sake my mini is in my son’s I spy Cool Cars book! A few days later, he went back to work and I put the house on the market. A family home somewhere far from his work should do the trick…! Never come between a girl and her mini cooper!